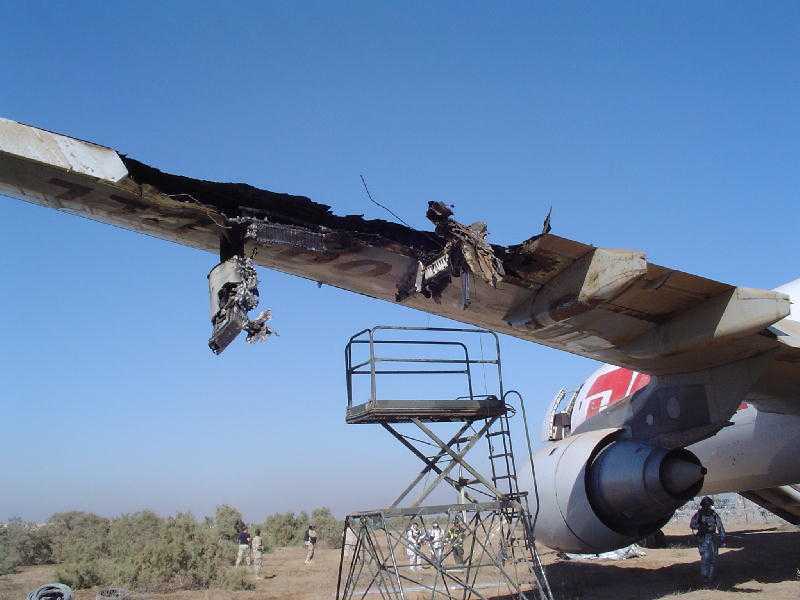 On 22 November 2003, a DHL A300, which had just departed from Baghdad on a cargo flight to Bahrain, was hit by a SAM-7 surface to air missile. 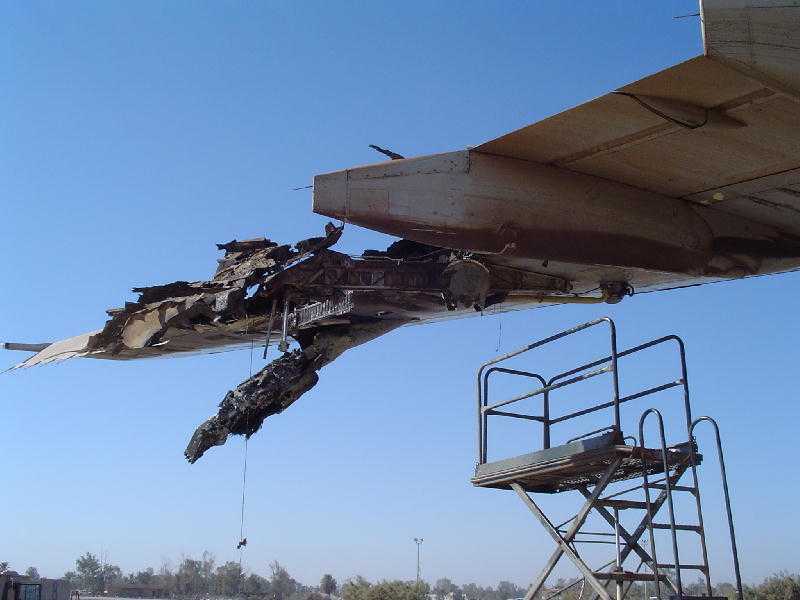 The left wing caught fire following the hit, forcing the crew to return to the airport for a successful emergency landing. 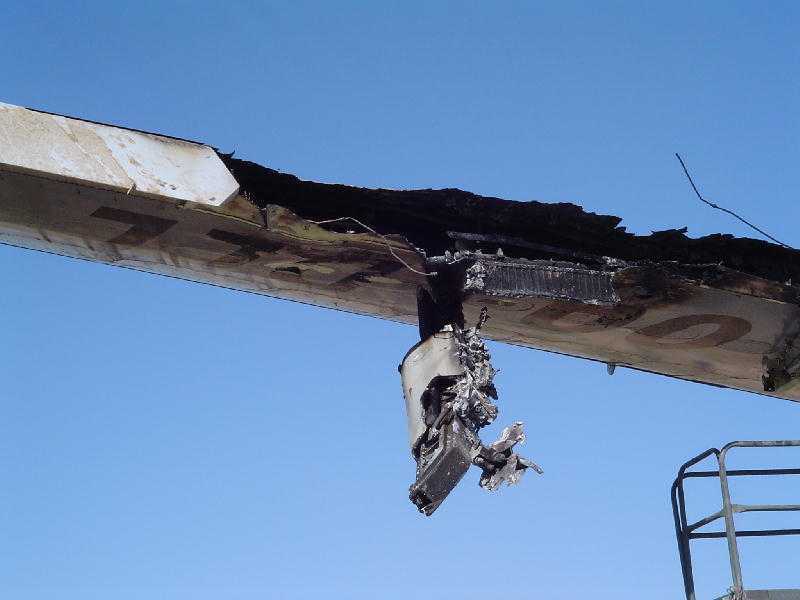 A video about the event that was produced by Glenn Pew shows a reconstruction of the event, as well as several still photos of the missile damage. Great post, Todd. That's absolutely incredible airmanship. I have no idea the extent of the damage was that bad.